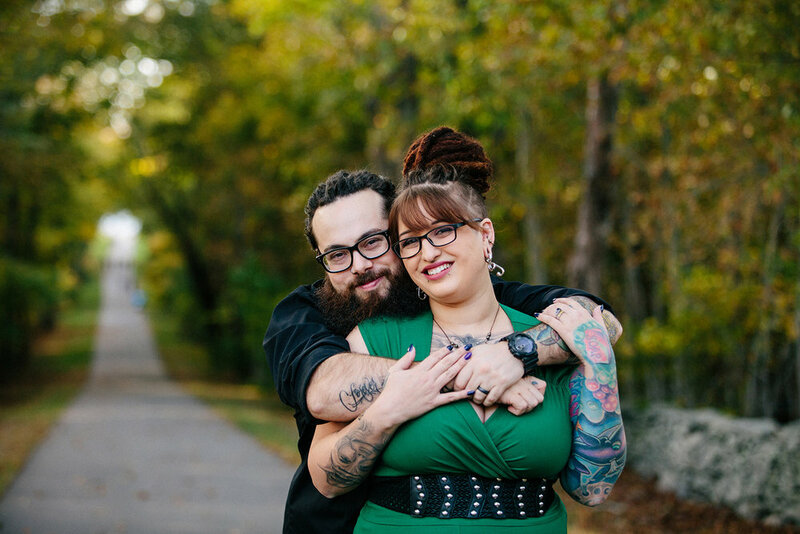 Alysha and Ryan just recently celebrated their one year wedding anniversary in September. 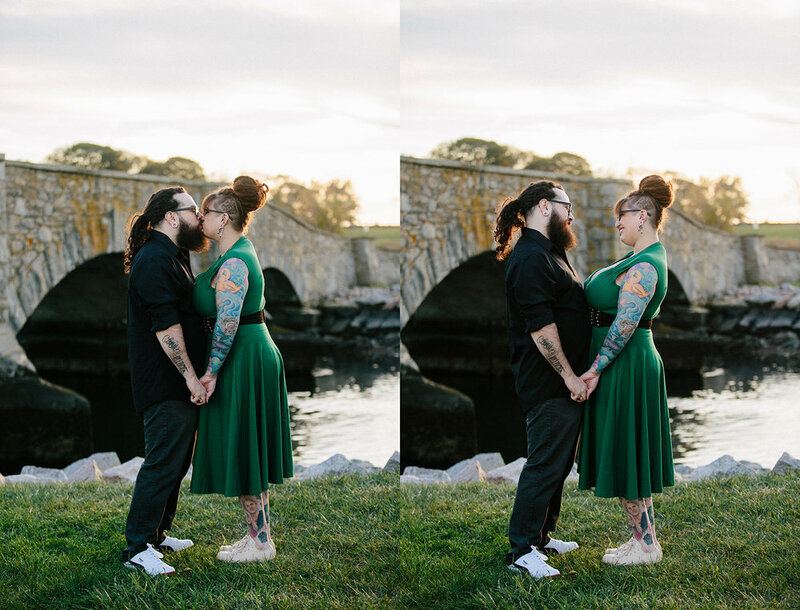 I love when I can photograph couples, but this session was a little different for me! 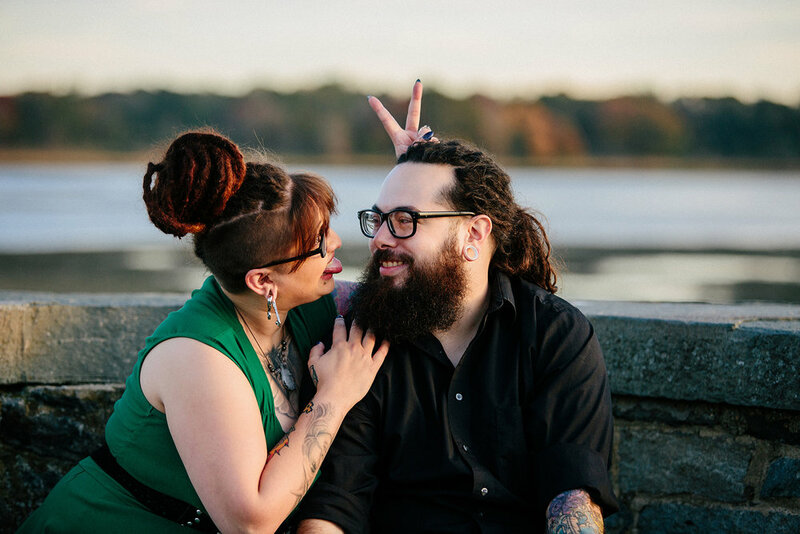 They both have awesome dreadlocks, loads of tattoos, and are just incredibly fun. 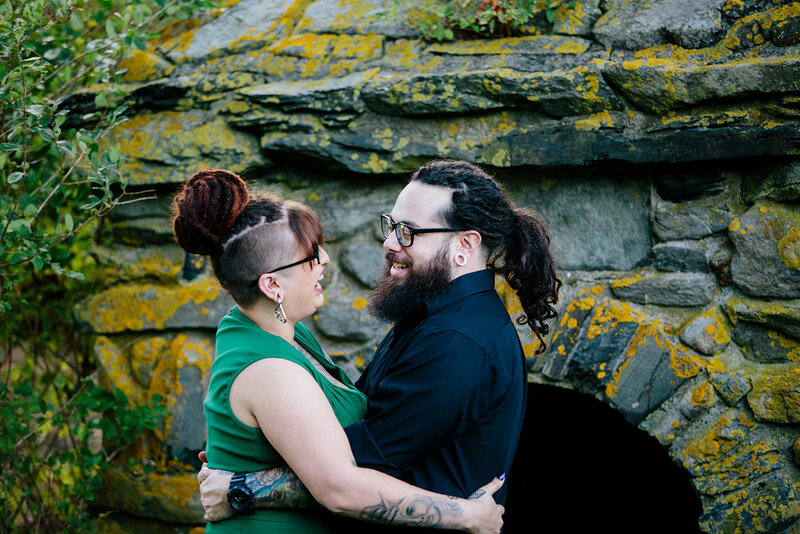 We went for an unposed session, and I just captured Alysha and Ryan as naturally as possible. There were so many laughs, and I was able to capture some beautiful moments. 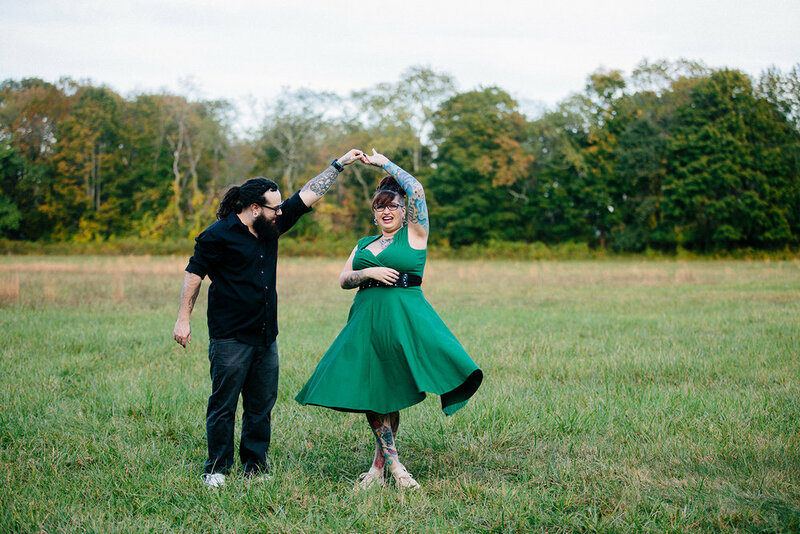 Alysha and Ryan own and manage Famous Tattoos in Darmouth, MA. 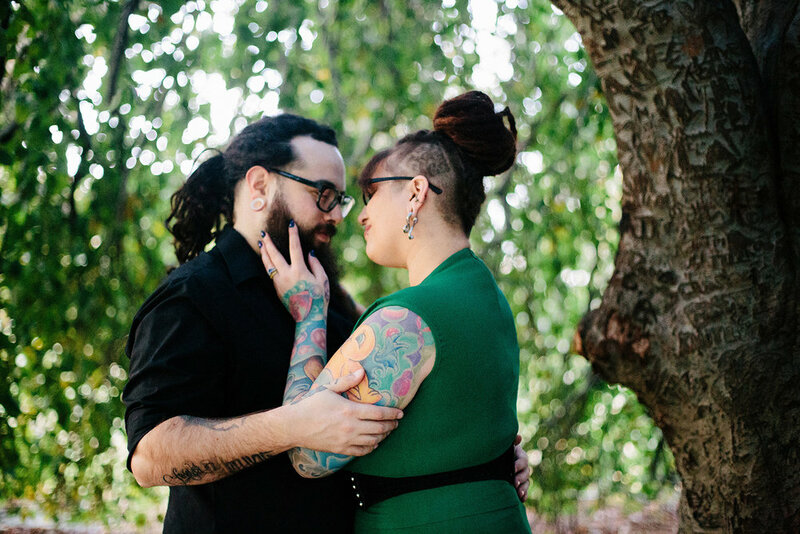 Their tattoos are pretty awesome! I first met Alysha over the summer. She modeled for me in a Women's Empowerment Tattoo Session I did with Sarah of Making You Glow. That particular session was featured in Bespoke Bride. You can see the feature HERE. This session took place at Colt State Park in Bristol, Rhode Island. It's one of my favorite spots in the fall. It usually offers great fall foliage, and has a variety of backdrops. It's perfect for any photo session! I hope you enjoy these favorites of mine from this photo session!